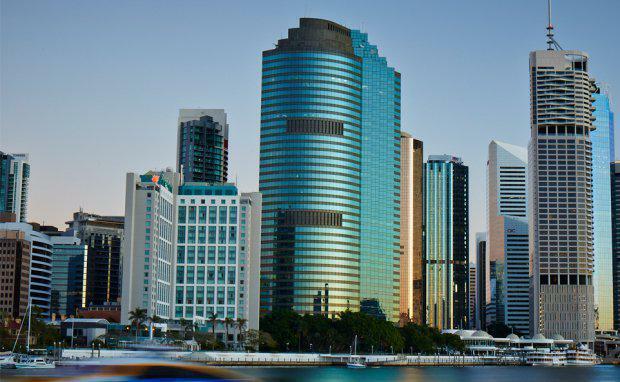 DEXUS Property Group and DEXUS Wholesale Property Fund have reached a conditional agreement to jointly acquire Waterfront Place and Eagle Street Pier in Brisbane for $635 million. DEXUS and DWPF have jointly agreed to each acquire a 50% interest in Waterfront Place at 1 Eagle Street, Brisbane (pictured above, centre) comprising a 59,448 square metre Premium grade office tower, and Eagle Street Pier, at 45 Eagle Street, Brisbane comprising a 6,258 square metre prime riverfront retail precinct. The acquisition price of $635 million is $9,664 per square metre for the complex and a capitalisation rate of 6.9%.